Kawhi Leonard and the Toronto Raptors are proving to be one of the top contenders in the Eastern Conference following Lebron James’ departure. With a win-loss record of 45-17, the Raptors are sitting in second place at the moment bested only by Giannis Antetokounmpo and the Milwaukee Bucks. The Raptors’ acquisition of Kawhi Leonard has transformed the team into a different beast compared to the days when DeMar DeRozan was the face of the franchise. However, that gamble has yet to pay off as the 27-year-old remains undecided whether or not he’ll be staying with his current team, Forbes reported. Among the organizations that Kawhi Leonard might transfer to are the L.A. Clippers, New York Knicks, Brooklyn Nets, and the L.A. Lakers – with the Clippers touted to be the most likely candidate. However, The Claw can still opt to stay with the Raptors, especially with the season that the team is having right now. The Raptors is one of the deepest rosters in the league at the moment with multiple players capable of playing two-way roles in different positions. This fact has been highlighted recently when the Raptors bulldozed the Boston Celtics 118-95. While Kawhi Leonard remains the main scorer of the roster, Pascal Siakam is quickly becoming the team’s second best option. Indeed, Siakam managed to score 25 points and grab eight rebounds against their recent match, while simultaneously playing effective defense against the opposing team. Then there’s also the second unit to consider where Marc Gasol and Jeremy Lin is running high pick and rolls that contributed to the Celtics’ collapse. With a solid team at his back and an organization willing to do anything to keep him, Kawhi Leonard definitely has a difficult choice to make. Either he transfers to one of the above-mentioned teams and adjusts again. Or stay with the Raptors and endure the frigid winds of the north. NBA pundit Adrian “Woj” Wojnarowski previously said that the weather and geography of Toronto are one of the few things that might sway the superstar to leave the team. 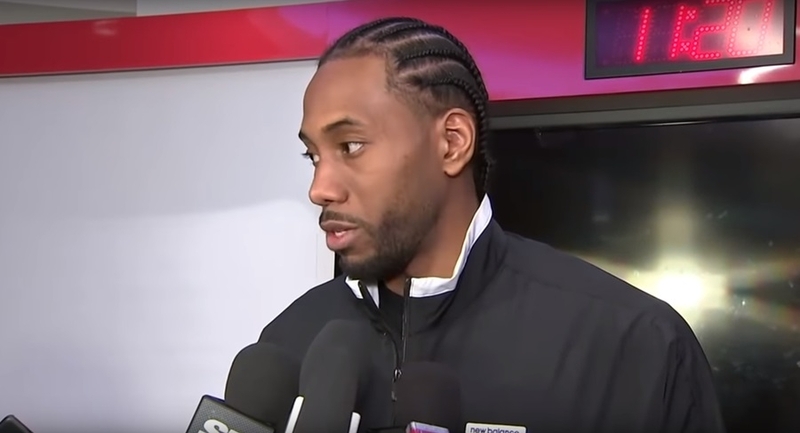 With Kawhi Leonard’s free agency inching closer, the rumor mill is hard at work spouting speculations left and right what the forward’s decision is going to be.